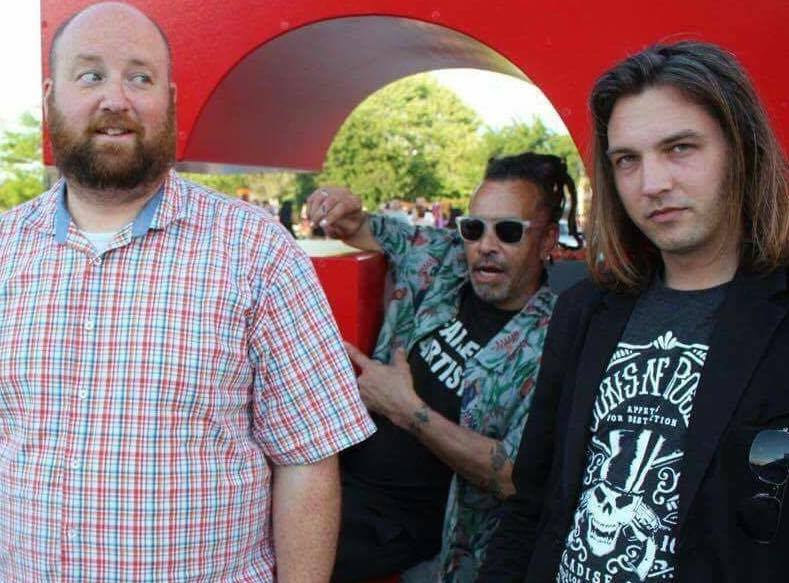 Director and Musician Drew Fortier has announced his latest film project, a documentary about the late Faith No More / Bad Brains / Cement / Primitive Race Chuck Mosley. The film was initially conceived as a narrative on the legendary singer and musician's then burgeoning comeback, and Chuck originally agreed to the project through a typically irreverent voicemail. Drew Fortier (Bang Tango, Zen From Mars) will return to a familiar spot behind the camera in 2018 to direct Thanks. And Sorry: The Chuck Mosley Movie. While playing a handful of shows on guitar for Chuck Mosley (Faith No More, Bad Brains, Indoria, Primitive Race) in 2017, Drew and Chuck discussed the framework of a documentary about the singer/songwriter’s life and his reemergence on the scene. Chuck passed away unexpectedly on November 9th 2017, a couple days after leaving a voicemail for Drew… in his best Bane impression. Mosley had recently completed sixty-plus dates on his Reintroduce Yourself tour and recorded a solo record with producer Matt Wallace (Maroon Five, Deftones, The Replacements). On November 3rd 2017 his band, Primitive Race, released their sophomore effort Soul Pretender, currently rising up the NACC Radio 200 chart. Drew, Chuck, and Douglas will also all appear in front of the camera in 2018. Drew will appear in the upcoming James L. Edwards horror feature, Her Name was Christa. Chuck is also starring in the short film Like An Open Heart It Shines, written and directed by David Collupy. The film also features Douglas in a role. Drew and Douglas recently launched, facebook.com/thanksandsorrychuck and fans can contact chuck@mosleyvua.com for the project. They are eager to hear from fans, family, friends, and anyone else willing to share stories, photos, audio, and video of Chuck Mosley.